My sweet pup – always up for a snuggle on the couch. You read that right – it rained all weekend. And the only day the sun is supposed to shine this week is tomorrow. *sigh* The weather is not exactly the greatest; but soldier on I must, cloudy skies and all. Friday night my parents and I went out to get Mexican for supper, we popped in to one of our favorite places and it was delicious as always. I will confess, it seems since I quit the Arbonne Thirty Day Challenge, I have been hungry all the time – it’s so strange; it also means I need to get it together and stop eating so much. *face palm* Obviously I ate “all” the Mexican food on Friday night though…and then stopped at Aldi to grab coffee creamer and some truffles before heading home. It’s okay – you can roll your eyes. My Mom and I watched the movie Gifted with Chris Evans and Octavia Spencer; it was really good! My puppy snuggled extra close all weekend and on Friday night he was right next to me, getting plenty of love. I stayed up until almost midnight reading on Friday night, but I finished my book! A Red Robin (yummm!) just opened about a month ago and we decided around 4:30 that if we wanted delicious burgers for supper, we’d better arrive by at least 5:00. We arrived before 5:00 and still ended up waiting thirty minutes, but the food was good – especially the dill pickle nickels! I am an absolute sucker for fried dill pickles y’all and these were so good! After our final stop at Lowe’s to pick out paint, we headed back home. My Mom and I watched the last episode of This Is Us so we’d be caught up and we also watched some of the Olympics Figure Skating Gala but for whatever reason, I could not hang (#oldladystatus) and I was in the bed and asleep before 11:00! On Sunday morning when I got up, I thought that I’d strategically placed the pillows on my bed so that my dog wouldn’t try to get “in” the bed…but I was so wrong. After having coffee and breakfast, I came back down to my room to get ready for church and I couldn’t find the dog anywhere. I finally noticed some ears sticking up in between the pillows I’d placed as “guardrails” and discovered that no pillow(s) stopped him from climbing to exactly where he wanted to be. After church, my Mom and I went to Panera for lunch – all that soups were appetizing on a rainy, gray day. Our friend Jennie and her son Jimmy happened to be there, we happened to snag a booth and we spent our lunch chatting over soup, bread and lemonade. We made the grocery run on the way home and arrived back at the house in time to catch the back half of the Nationals first televised Spring Training game – they beat the Braves 9-3! I’m so glad baseball is back on my TV again – I’ve missed it! We took a long walk around the neighborhood – albeit a less sunny walk than last week’s – and I spent the evening getting my clothes prepared for the work week ahead, talking to my little sister, doing some reading, doing my nails and cooking supper. We had Crack Chicken Noodle Soup for dinner; it was my first time making it and it was a huge hit, we scraped the pot clean! It will definitely be added to my list of delicious meals. And since it’s Girl Scout season, we bought a couple boxes of the cookies on our way out of Wal-Mart and I had some as my dessert on Sunday night while watching the Closing Ceremonies for the Olympics. We splurged on a box of the S’mores cookies but nothing will ever top the Tagalong for me – it’s the best. 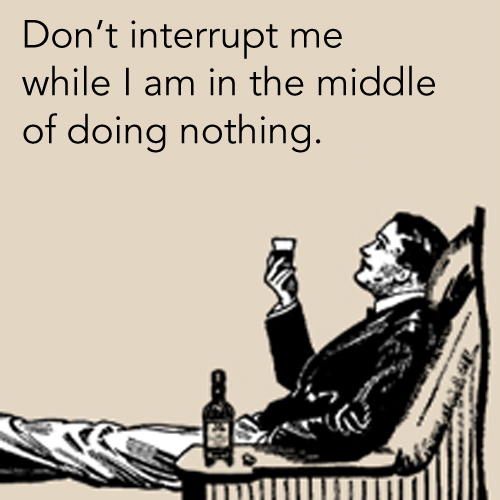 The weekend passed by way too quickly – but then, it always does. Another weekend in the books…the final weekend in February! In some ways February feels like it has flown by and (probably given the way it started) in other ways, it feels like it has lasted forever. Either way, before the week is out we are on to March and hopefully less rain and more Spring sunshine! Unfortunately our fence has a bit of a gap in one corner; a gap that I think could allow a certain small dog to escape and run free through the wilderness, which he’d thoroughly enjoy. It would hearken back to his days in Mississippi, running free through the trees and grass and he would lap up every second. Alas – I had to make him come inside. The look he gave me will haunt me for the rest of the day. A look so filled with disappointment… *sigh* However, because dogs are the most precious gift to the universe, something tells me when I get home today he’ll have completely forgotten that I made him come inside and he’ll still greet me, tail wagging! Dogs are the best! Well – it’s not Monday y’all – it’s Tuesday because the past weekend was a long weekend! Can I get all the hallelujahs for that? Although sometimes that makes a Tuesday feel like a Monday, but so far today has been lovely and not at all like a Monday! Black Panther came out this weekend and my friend Jennie, her son Jimmy and I went to see the 6:15 showing on Friday night. Happily I got off work early on Friday and was able to spend some time relaxing at home before heading to the theater – it was so nice. The movie really was excellent and I enjoyed it a lot more than I thought I would; I’d highly recommend it, and you don’t have to have seen the other Marvel movies to enjoy this film. I was far too tickled by the tweet that I posted above – it made me giggle, so I couldn’t resist sharing. After coming home on Friday night, I finished up The Marvelous Mrs. Maisel on Amazon – has anyone else watched that? Thoughts? I did a little reading before going to sleep and looking very forward to sleeping in on Saturday! Saturday dawned oh so bright – which as I mentioned in my post from Sunday, was not at all a harbinger of the weather to come. I did a little reading from my very cozy spot in my bed and Watson served as a wonderful foot warmer, basking in the sunshine. I had my beloved coffee and began going about my Saturday business. Once the snow tapered off around 8:30, I took Watson out on a walk. Earlier in the day when the thick snowfall was coming down he’d had no interest in being outside and traipsing through the snow…but our evening walk was a different matter entirely. He bounded through the drifts and buried his nose deep into the snow to seek out whatever might be buried under all the white. I also couldn’t resist taking video of the sounds of the snow melt – our backyard sounded like the deck had been positioned on the edge of a river, the water rushing along as the snow melted. Watson was eager to be outside but when he ventured onto the deck and heard the rushing water, he thought twice and made his way back inside…at least for a little while. Around noon, Watson and I took a ride to the newly opened Burger King to grab some lunch. Watson thoroughly enjoys all rides in the car and he especially enjoyed the ride after it was scented like a delicious cheeseburger, ha-ha! To his credit, he only once tried to poke his little nose into the bag and sniff out what was in the bag… once we got home, he definitely parked himself at my feet and begged/waited patiently for bites of my food. We watched a season one episode of Home Town while having lunch and then it was back to business. By 2:00 on Sunday afternoon, all signs that there had ever been any snow were almost completely gone. I took a break from my Sunday afternoon spent with my head buried in a book, laced up my sneaker and took Watson on a long jaunt through the neighborhood. It was so warm out that halfway through the walk I ended up undoing my jacket to let the breeze cool me off. It almost defied belief to think that exactly 24 hours before the snow had begun and covered everything in a layer of white…and now we were marching along on dry ground under blue skies. Watson spent a large chunk of his Sunday afternoon lying in the sunshine on the back deck and at one point came to the door, tapped with his paw and then when I opened the door, he sat and waited expectantly for me to come outside. I suppose he wanted some company and so I took some time out and went to sit in the sunshine on the back deck with him. It was almost warm enough that I didn’t need my jacket but it was nice to have as I leaned against the railing and soaked up the sun. I passed the rest of Sunday evening eating some leftovers alongside a half of a sandwich brought to me from Macado’s (seriously delicious sandwich place), watching the Olympics and watching Victoria. I read before finally falling asleep – and it was such a nice thing to know I didn’t have to wake up early on Monday! I slept in on Monday and had my coffee and breakfast with my Mom before getting ready for the day. I finally made myself get back to exercising (in the two weeks since my grandmother passed away, I’ve really been a slacker) and hopped on the elliptical for thirty minutes before getting ready to head to Tyson’s. My Mom and I spent the afternoon at Tyson’s Corner Center – a huge mall about an hour from our home in NoVa. We had a delicious lunch at Cheesecake Factory and split a decadent piece of cheesecake – because we are firm believers that one cannot simply eat at Cheesecake Factory and not get cheesecake! We spent a few hours shopping and running errands before heading home – I got a really cute red dress on sale at Lou & Grey (do y’all know Lou & Grey, it’s the best) and a cold shoulder sweater from Loft – gotta love those President’s Day sales! The weather on Monday was misty and dismal and I wish I’d have taken the time to snap a picture of all the buildings in McLean disappearing into the fog on Monday evening…but alas, I did not. I had some delicious leftover lasagna and watched an episode of Home Town with my Momma before taking some headache meds (boo to a persistent headache that hung around as a dull ache all day long…) and hitting the sack! Thank goodness for long weekends, we all need them from time to time and I thoroughly enjoyed mine! Saturday morning dawned bright – the sun shone and the sky was a perfect blue. There was a breeze on the air but not a cold breeze. I made a Target run in jeans, a t-shirt and my Columbia windbreaker; it certainly didn’t feel arctic outside and the sunshine just added to the feeling that there was no way snow was coming. The snow continued to fall in a thick curtain for several hours. Around 4:30 I took Watson outside and he was having none of it. Sometimes he loves the snow and sometimes he would just rather not, ha-ha! I borrowed a few pictures from a community Facebook page of the lake all bedecked in snow, the trees mantled in white and weighted down with decoration. Snow makes everything…quiet. Everything is blanketed in the pure white, undisturbed and at peace. Later in the evening, around 8:00…as the snow was still gently falling I took Watson out one more time. This time he was in love with the snow, bounding in and out of the drifts, sniffing for things buried under the mantle of white and enjoying every minute. When we finally came inside, he was wild – jubilant with his little adventure in the white wild outside. So – after all that wondering – the snow did come. However; I should mention that as I write this the sun is shining, the temperature outside is hovering at 50 and all signs of the world of white from Saturday afternoon are…well…gone. But hey – it was certainly lovely while it lasted! This week has seemed long y’all – I’m not entirely sure why – but it has! I’m glad to see the weekend on the horizon; and whats more, its a three day weekend! All the praise hand emojis! It’s raining here in my little corner of Northern Virginia and I’m hoping our boss will be nice enough to let us end this slow week a little early. Fingers crossed and on to the Five! One. Black Panther – The Marvel movie tradition continues; I’m joining my friend Jennie and her son Jimmy for the newest installment in the franchise, tonight! Jennie grabbed our tickets over a month ago and I can’t wait to have some delicious food while watching what I’ve heard is an excellent movie… I make Jimmy take a picture with me at every Marvel movie we see together; the older he gets, the less he’s interested – but maybe one day he’ll appreciate my fondness for capturing the moment? Guardians of the Galaxy Two – way back in the Spring of last year – whoosh! 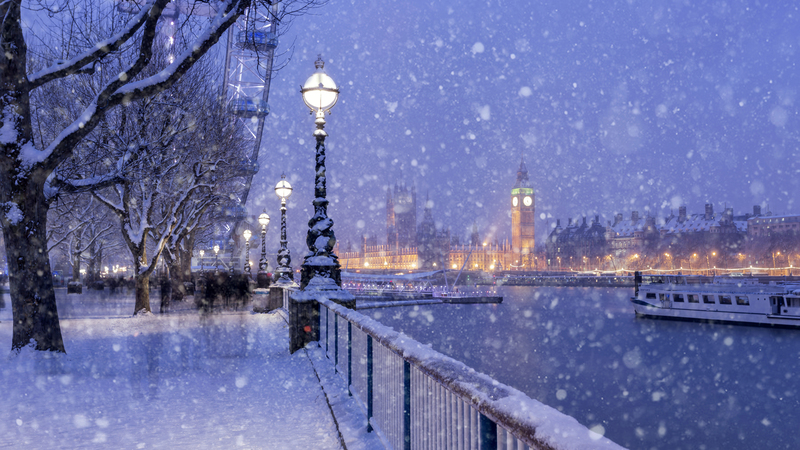 Obviously snow here in VA has nothing to do with snow in the UK – but this picture was too beautiful not to post. This picture makes me want to go back to London ASAP…but perhaps in the Spring? Three. Erin Napier’s Journal – I stumbled on to Erin’s journal on the Laurel Mercantile website and I’ve fallen into a hole, re-reading all the posts she has done in her journal. There’s really no way to catch up on the 2,000+ journal posts but I’ve been looking at them here and there and I’ve decided Erin and I could be best friends…this is mostly based on the fact that she saw Titanic in the movie theater 12 times (I saw it 13). It’s also fun to read because she references so many places I know from growing up in Mississippi: the truck stop in Meridian, Zack Garvin’s in Newton, Landrum’s Homestead and Village…the list goes on and on! Do y’all watch Home Town? Do you love it as much as I do? Four. Studying – The other thing I’ll be doing this weekend besides hoping for/watching it snow (which isn’t really doing much…huh?) is studying! 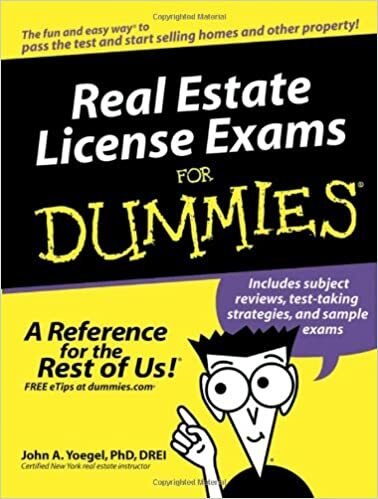 I’m taking a real estate certification test on Monday and I’ve got to hit the books to prepare! Eek! I’m a little nervous because I don’t know what to expect from the test; obviously more of what was on the test(s) back in October at the end of my class, but in a different way – does that make sense? I’m not sure where I can get my copy of that book – but I’d take it! I’m no dummy and I can re-take the test every day if I want until October 31st – but the goal is to knock it out of the park on Monday and move on in the journey! Wish me luck! Five. A Watson Picture – I know it’s not Wednesday, but this face was too cute not to share! The weather yesterday was unseasonably warm and so after dinner, we spent some time on the deck as the sun set. I’m so looking forward to Spring and spending time outdoors again – and I know my little fella feels the same way! It was almost 75 yesterday and tomorrow it’s supposed to snow – so I guess you just never know, huh? All that to say, if you need me this weekend…I’ll be studying and watching it snow!